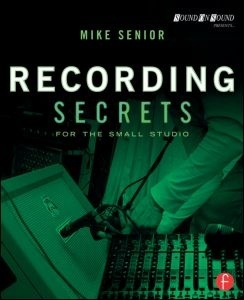 Discover how to achieve commercial-grade recordings, even in the smallest studios, by applying power-user techniques from the world's most successful producers in this 447 page book. 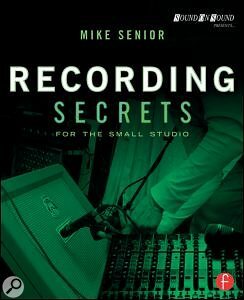 Recording Secrets For The Small Studio is an intensive training course specifically designed for small-studio enthusiasts who want a fast track to release-quality results. Based on the backroom strategies of more than 200 famous names, this thorough and down-to-earth guide leads you through a logical sequence of practical tasks to build your live-room skills progressively from the ground up. On the way, you'll unravel the mysteries of many specialist studio tactics and gain the confidence to tackle a full range of real-world recording situations. User-friendly explanations introduce technical concepts on a strictly need-to-know basis, while chapter summaries, assignments, and extensive online resources are perfect for school and college use. Learn the fundamental principles of mic technique that you can apply in any recording scenario -- and how to avoid those rookie mistakes that all too often compromise the sonics of lower-budget productions. Make the best use of limited equipment and session time, especially in situations where you're engineering and producing single-handed.